I flew with Norwegian from Stockholm down to Belgrade on Tuesday evening. At the airport Vladica, coordinator for some of the Roma churches in southern Serbia met me. The following day we traveled about four hours by bus about 300 km south to Leskovac, a city of 95 000 inhabitants. In the evening there was a service in a Roma (gypsy) church in Leskovac. The praise and worship was wonderful with a strong presence of God. From what I have experienced, this is often the case in the Roma churches. The Romas are also talented musicians. I preached a simple message about prayer from Matt. 6:6. The following night there was a service in the serbian church which has the services in the same building as the gypsies (There is also a Chinese church meeting there once a week!). The serbian church were of smaller size than the Roma church. This is usually the case throughout the country. On Friday afternoon we travelled 45 minutes north to Nis, which is the birthplace of emperor Constantine the Great (272 AD). Nis is one of the oldest cities in the Balkan Peninsula and has from ancient times been regarded as a gateway between East and West. During the occupation of Serbia during World War II, the Germans placed the first concentration camp in Jugoslavia in this city. 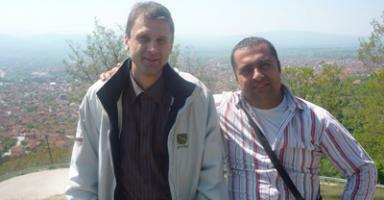 In Nis we went to a Roma church led by pastor Rama, a man who was saved in Leskovac some years ago. It was a joy to visit them again and meet with the congregation. I preached from Psalm 23. On Saturday we went south to Vranje, an hour drive from Leskovac, close to both Kosovo and Macedonia. 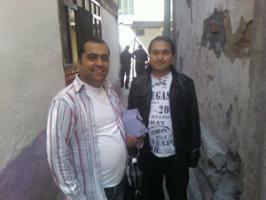 A few years ago, Vladica started a church among the Roma people. Today, there are quite a large congregation of about one hundred members, most of them youngsters. 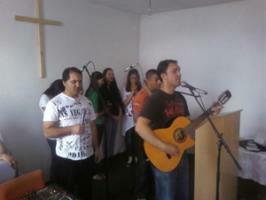 On Saturday there was a youth seminar where I taught about The calling of God and about Teamwork. In the evening there was a service. Sunday I held another session and a service in the night. During the days in Vranje I met several Roma people who had recently been expelled from Sweden. One guy told me in swedish that he lived outside Lindesberg (two hours west of Stockholm) and had been sent back just a month earlier. His sister had also lived in Sweden for a few years, but she was also sent back. The Roma people in Serbia have a very tough situation, where unemployment is high and wages low. Many of them have no hope. Thousands are trying to leave the country every year. Some succeed, some not. They often live close together in ghetto-like areas in special parts of the cities or in their own villages in the countryside, where roads and houses have very low standard. Many children are unable to attend school or the parents doesn´t care ot send them to school. Those who go to school have a hard time catching up with the serbian children because they are not fluent in serbian. But in churches that I visited, I found, however, that there is an optimism and a belief for the future, despite the tough circumstances. 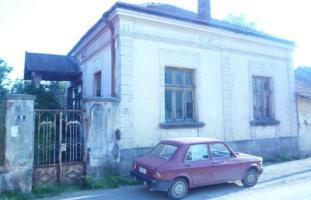 The building the church in Vranje wants to buy. 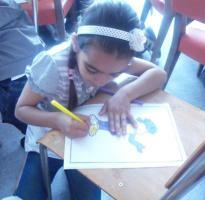 Project in the church: Teaching the children.